If you haven't had a chance, check out Part One of this series. 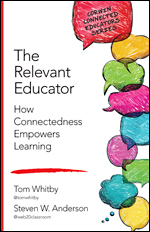 Last week we looked at the first four qualities that Tom Whitby and I layout in our book The Relevant Educator and believe all Relevant, Connected educators posses. 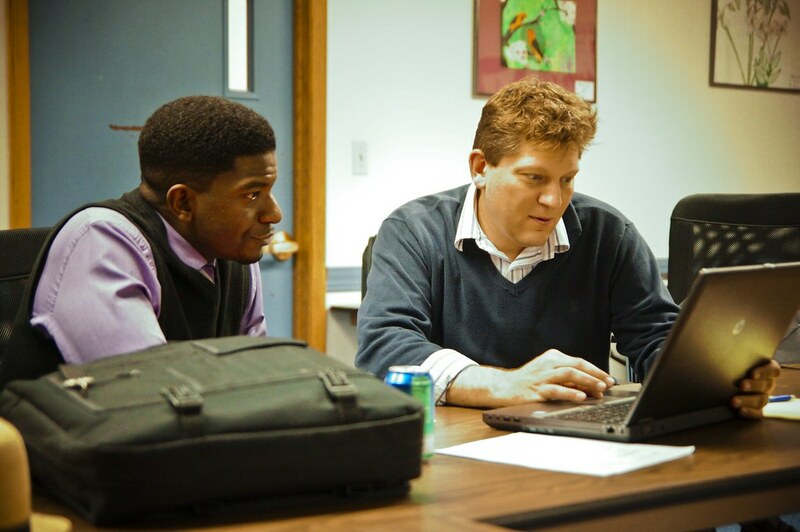 Practices and Models Lifelong Learning-For educators, learning should never stop. Believes in Sharing and Collaboration-Alone we are smart but together we are brilliant. Sharing, reflecting and collaborating together is an imperative. Willing To Explore, Question, Elaborate and Advance Ideas Through Connections With Other Educators-We should always be striving to have our thinking pushed and have healthy debates about what works and doesn't in education. Views Failure As Part Of The Learning Process-Failure is part of our future. We need to embrace it so we can learn from it. I think back to the moment I entered the classroom for my first day of teaching. My classroom wasn't equipped with any technology, let alone a connection to the Internet. Our grading system was computer-based but I had to go to the Media Center to enter them. Students (and teachers) were at a disadvantage because of our lack of connectedness. Today, that picture is much different. In just 15 or so years we've seen an emphasis on getting classrooms connected to high-speed resources, availability of devices that put the learning in the hands of students and access to on-demand professional learning resources that can help any educator improve their practice anywhere. In Part 2, lets explore how Relevant, Connected Educators are utilizing technology to enhance and improve their learning and make all this possible. Uses Technology And It's Connections To Other Educators To Learn And Teach- It is the access to those professional learning resources that is key for Relevant, Connected Educators. Technology has provided the means for us to learn anywhere, anytime and anything we want from other professionals around the world. But, it's not just about consumption. Creating and teaching is also a part as well. Relevant, Connected Educators contribute to other's knowledge in addition to consuming it. 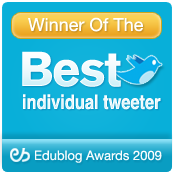 Something like Twitter chats can be a great way to learn from others and contribute to the learning of others. Uses The Tools Of Technology To Personalize Their Professional Development-We are no longer bound by the professional development offered to us by the district. PD can happen in places and ways once not possible or conceivable. By plugging in Relevant, Connected Educators are using webinars, on-demand learning, MOOC's, hashtags and other digital resources to learn and improve their practice. 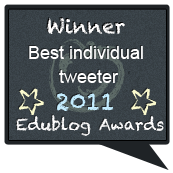 One of my favorite places to personalize my own learning is Edweb.net. On any given day there are 3-5 webinars on a wide variety of topics. And everything is archived and free so I can browse at my leisure to learn on my schedule. Comfortable With New Technology And Shows A Willingness To Explore- Remember back to Part 1 and our conversation about failure? Technology is unpredictable and sometimes mysterious, but that is what makes it so awesome! Relevant, Connected Educators put their fears aside and jump into trying new technologies. Sometimes they work out really well. Other times, not. (Remember Google Wave?) The take-away is the willingness to explore and try new technologies. You never know what you'll discover. May Put Creation Over Content And Relevance Over Doctrine-The pushback we get for all this is how can Relevance and Connectedness live in a world with strict standards, summative assessments and all the pressures that educators are under. I believe it is the connections that make the job of teaching and learning easier. The resources available, the people to reflect with, the professional learning to engage with all serve to improve our ability to do our jobs better. And sometimes that means making waves and doing whats right not for standards or assessments, but for students and learning. These are the 8 tenets we believe all educators should strive to achieve. But what say you? What has your road to Connectedness and Relevance looked like? What challenges did you face? How are you improving? Leave a comment below.